There is no indication on when Star Trek will begin filming and there isn’t a director attached yet, but most likely J.J. Abrams will direct. This is not good for the new Jack Ryan film. 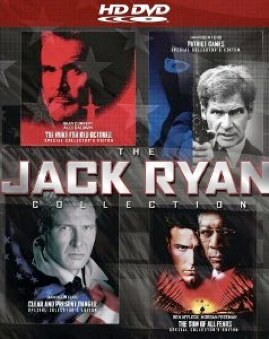 If the new Star Trek film isn’t released until 2012 at the earliest, we might not see a Jack Ryan film until 2014. I do think Chris Pine is a good choice for the role though. Read the whole story at Deadline. This entry was posted on Wednesday, March 30th, 2011 at 11:24 pm	and is filed under Film, News. You can follow any responses to this entry through the RSS 2.0 feed. You can skip to the end and leave a response. Pinging is currently not allowed. « COMIC BOOK RELEASES FOR THE LAST WEEK OF MARCH!! !